The Vatican has been under the control of it’s largest all-male order, the Jesuits for a very long time. The Jesuits were created in 1534 to serve as the “counter-reformation” — the arm of the Church that would help to fight the Muslims and the Protestant Reformers. However, they fought with espionage. The Jesuits were expelled from at least 83 countries and cities for subversion, espionage, treason, and other such things. Samuel Morse said that the Jesuits were the foot soldiers in the Holy Alliance (Europe and the Vatican) plan to destroy the United States (Congress of Vienna). Marquis Lafayette stated that the Jesuits were behind most of the wars in Europe, and that they would be the ones to take liberty from the United States. ​Under Smolich is Fr. David S. Ciancimino, S.J., the Jesuit Provincial of New York. He is the top Jesuit Provinical in the United States, as New York is the capital of the Jesuit Order’s power (that’s why it was chosen as the staging area for 9/11). Here, Ciancimino (and the Jesuits beneath him) control Wall Street, the NYSE, and the Federal Reserve Bank. Ciancimino controls Archbishop Timothy Dolan, the most powerful Roman Catholic official in the United States who is not a Jesuit. Ciancimino is an occultist, as are many other top Jesuits. ​Fr. James E. Grummer, SJ, General Counselor for the Society of Jesus and assistant ad providentiam at the Jesuit Curia in Rome. He was appointed assistant professor of history at Creighton University in Omaha, Nebraska, in 1989 and served as the rector of Campion House, a Jesuit formation community at Creighton, from 1989 to 1991. 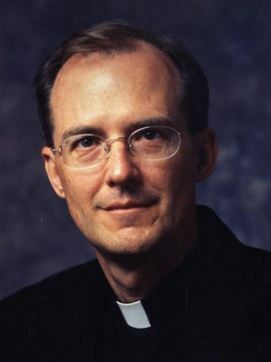 In 1991, he became the rector of the Jesuit community at Creighton Preparatory School, but returned to teaching at Creighton University in 1994. ​Jesuit Assistancy Soldier, James Grummer controls the United States Corporation. In 2005, Fr. Grummer was appointed as the regional assistant for the United States to the s Father General, Fr. Peter-Hans Kolvenbach. In 2008, Father General, Adolfo Nicolás S.J., announced the re-appointment of Grummer as his American assistant. 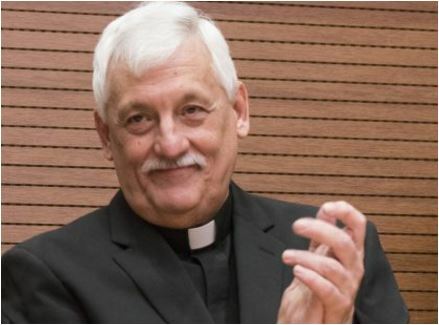 Superior General Arturo Sosa Abascal , New Black Pope Installed with a ranking 6 levels above Pope Francis! He is the most powerful man on Earth, who rules over Maritime Laws (business) . He controls the banking system, Freemasonry and the Secret Services (CIA, FBI, NSA, SIS, MI6, Scotland Yard, Mossad, CSIS, DGSE, FSB). The Vatican owns 60% of all of Israels land and the Land of the Temple Mount for their Third Solomon’s Temple where they want their throne. He is a part of the Arcana Arcanorum controlled by the Papal Bloodlines within the I-Mori. These bloodlines are the omega point of control. These are the Farnese, ORSINI, Aldobrandini, Somaglia & Breakspear. Their war room command center is within the Borgo Santo Spirito which is missile protected! Viktor Emmanuelle IV wanted to nuke this region of Rome. Henry Breakspear and Pepe Orsini are in high control! Jesuit Assistancy Soldier, James Grummer controls the United States Corporation. For the first time in almost 500 years of life, the Company of Jesus, the most numerous and influential religious order of Catholicism, will be led by a non-European, and in particular from a Latin-American. And this just at the moment when there is a Pope, in turn, himself aJjesuit, he is also Latino-American. The election of Father Arturo Sosa Abascal was within the plans of the general congregation in Rome on October 2, which took place the morning shortly after 11.30 am, when the classroom was heard to roar a big round of applause. The first to publicly communicate the name of the new Father General is respected the tradition that the first to be informed of the Pope, in virtue of the special bond that unites the order founded by Ignatius of Loyola to the successor of Peter.